Clinical Biochemistry Department is an integral part of many of the clinical decisions. 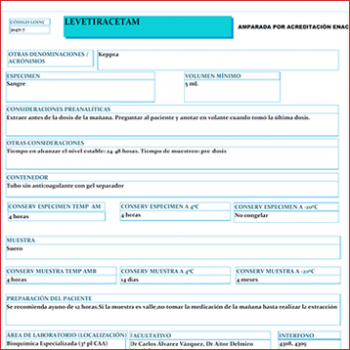 Laboratory reports serves as support to diagnosis and prognosis of patients determining the clinical management and avoiding more serious diseases in the future. Therefore, consensus procedures must be established to define analytical profiles associated with certain pathologies. Figure 1. 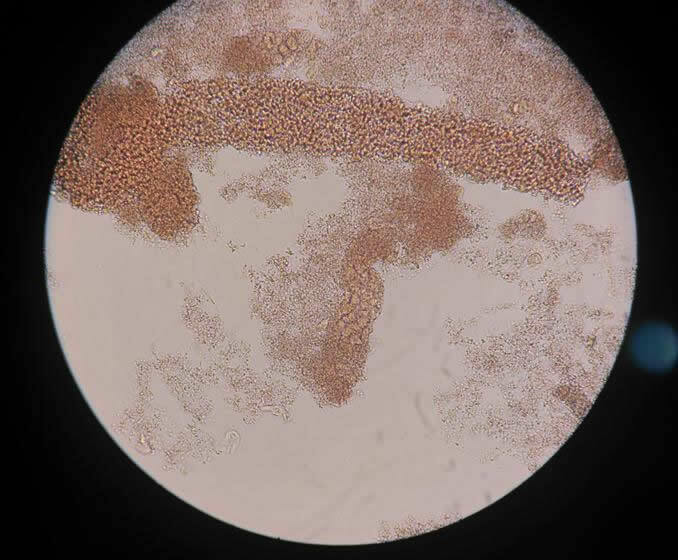 Urine sediment of an adult (light field optical microscopy, 400x). 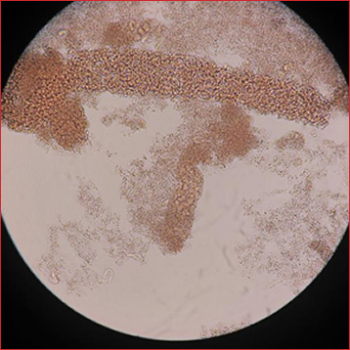 Image of pigmented aspect cylinders with reddish-brown color. This finding, together with other laboratory data, suggests that the cylinders are formed by myoglobi. 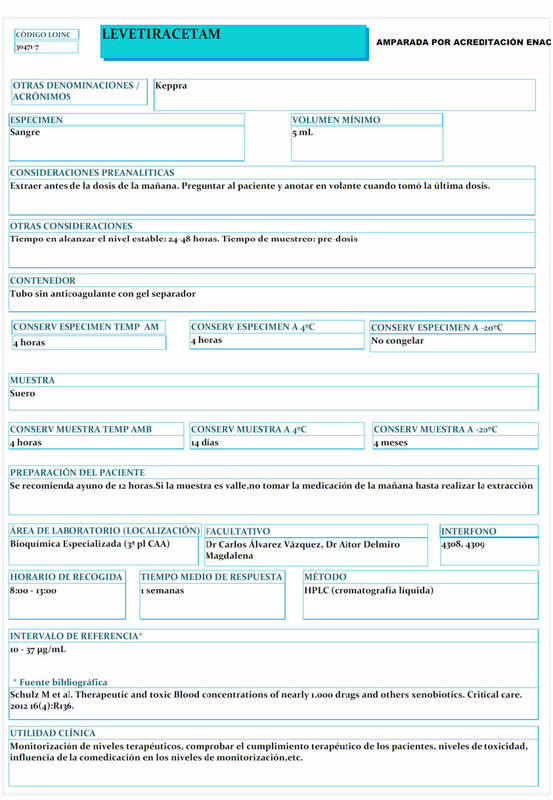 We present the case of a patient of 25 years who came to the Emergency Service of our Hospital by presence of coluria on two occasions since the previous day. From a penitentiary center, the patient recognized dependence on marijuana denied the consumption of other toxic substances. In the anamnesis he affirmed have performed intense exercise during the last two days. Figure 1: Cholesterol crystals in pericardial fluid at 400 increases. White light microscopy and polarized light filter. 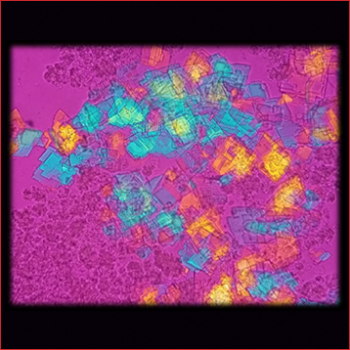 In this picture is observed a lot of crystalline structures corresponding to cholesterol crystals. The images that we present are from a pericardial fluid observed at 400 increases. At the macroscopic level the liquid has an aspect yellowish and shiny. 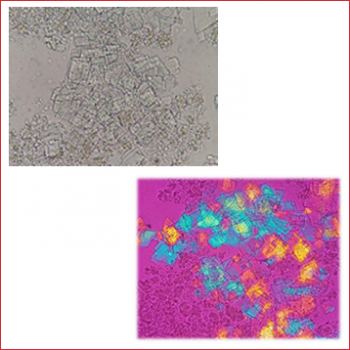 There are different levels of infiltration by mononuclear cells, plasmatic cells and it is common to find granulomas of giant cells with foreign bodies. At the microscopic study, the liquid shows rhomboid cholesterol crystals with broken corners. The crystals have laminar, colorless, transparent and irregular shape. 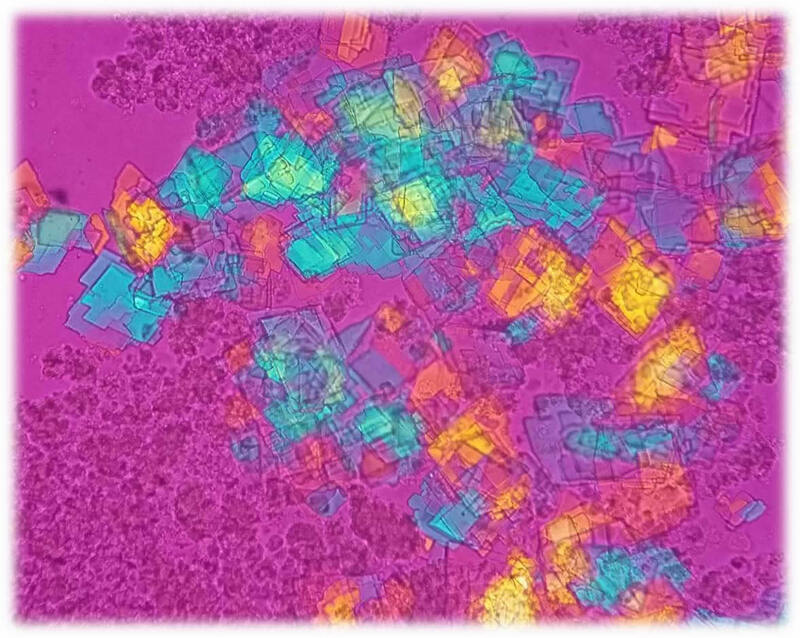 With polarized light filter, crystals show the characteristic colors of basic interference: blue and yellow. Figure 1. 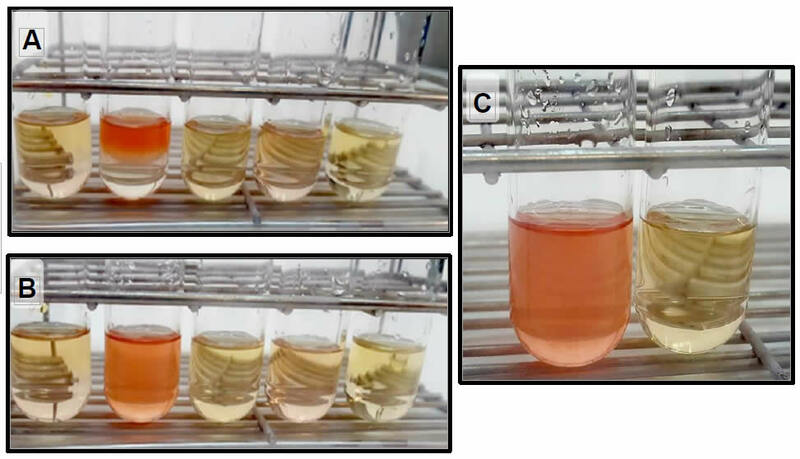 The Images shown different urine samples from different patients after applying Hoesch test, it can be appreciated a red coloration in the positive acute porphyria sample. 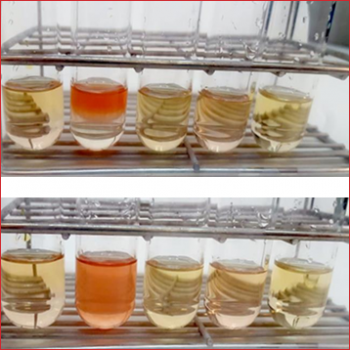 A positive result of Hoesch Test is shown in the image. This test allows to confirm or rule out an acute attack of Porphyria. It is a simple, fast and cheap method that produces the immediate color of the urine in contact with Ehrlich reactive. This reactive can be easily prepared in the laboratory adding 42 ml of acetic acid (100%) and 8 ml of percloric acid (60%) to 1 grame of 4-dimetilamine-benzaldehyde. Hoesch test is done by addition of 2-3 drops of the urine to 1 ml of reactive in suspected cases of acute Porphyria.